Grown from seeds and harvested at the first true leaf stage, the Micro Leaves in our Dawndew Salad range are specifically selected for their vibrant colours and powerful individual flavours. 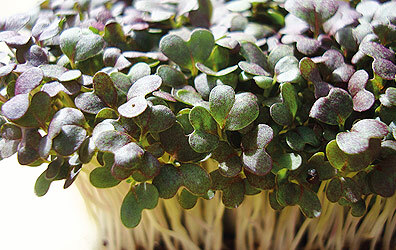 Micro Leaves, also called Micro Cress or Micro Greens, are tiny plants that pack a punch in both taste and nutrition. As a Micro Leaves Grower we see an increasing interest for these products mainly due to their popularity among leading chefs. Micro Leaves are often seen used on cookery shows by chefs adding them to dishes for colour, texture, intense flavour and fragrant aroma. 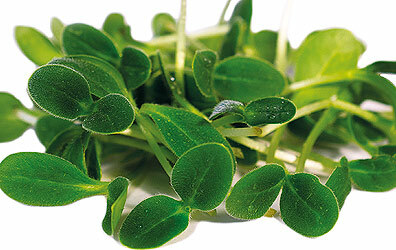 Micro Leaves are ideal for enhancing salads, main dishes, and soups or as a garnish. To have the most impact, each type of micro leaf should be carefully selected and paired with certain foods. 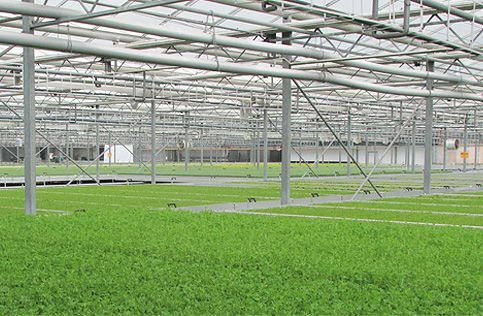 Our Micro Leaves are available as living products, packed in individual punnets or cut and supplied washed or unwashed. 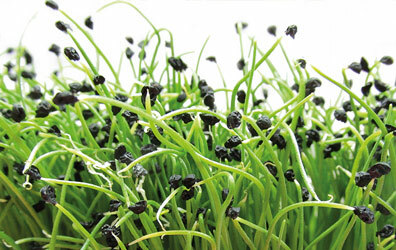 We also offer a Mixed Micro Leaf Salad which is a combination of four cut Micro Leaves. Product weights and packaging can be tailored to meet individual requirements. Our Micro Leaves are grown in the United Kingdom, without the use of pesticides and is licensed to carry the Red Tractor logo. Our Gourmet Cresses are living products, packed in individual punnets. Boxes may contain a single variety or a selection of mixed cresses. Our Gourmet Garnishes are cut and supplied washed or unwashed. Product weights and packaging can be tailored to meet individual requirements. 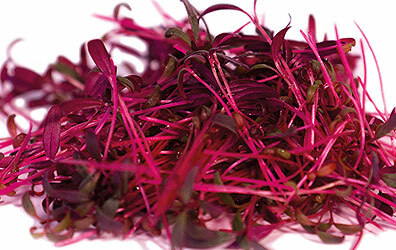 These Micro Leaves are stunning when sprinkled across any dish. The leaves also add a variety of textures, intense flavours and fragrant aromas. Grown under LED lighting in a dedicated area on site. Available as living products or cut. Some of the more robust micro leaves can be cut and supplied washed. Mixed variety boxes or single variety boxes are available. Maintaining all aspects of food safety is of paramount importance to Dawndew Salad. Through regular investment, assessment and review of our Quality Management Systems, we ensure our customer expectations are met and the appropriate food safety standards are maintained. At the same time, we continually strive to further improve the quality of the products and service we supply. To this end, we have a dedicated Technical and Quality Assurance Team on site that is supported by a retained technical professional.